Hello guys, I’m back with a bang! 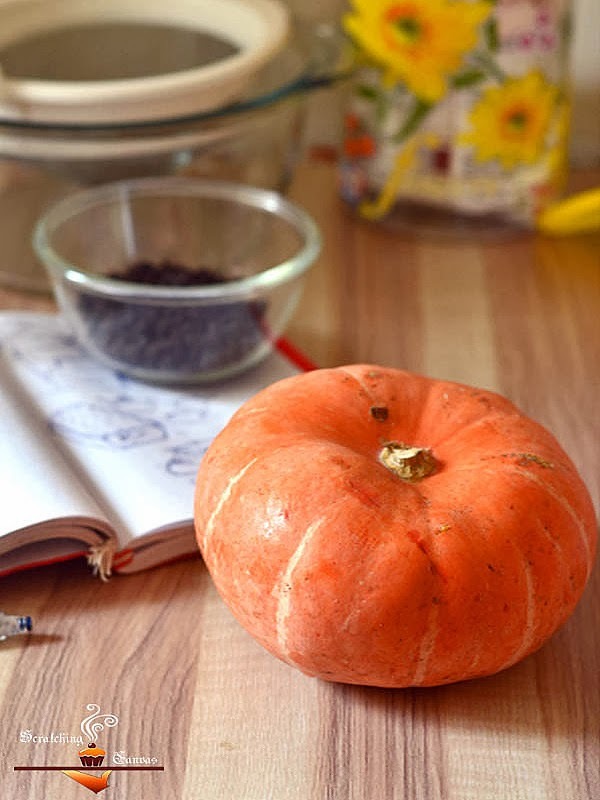 As I had promised earlier I’ve brought a delicious recipe with pumpkin. I know the word ‘pumpkin’ sets many of you off. 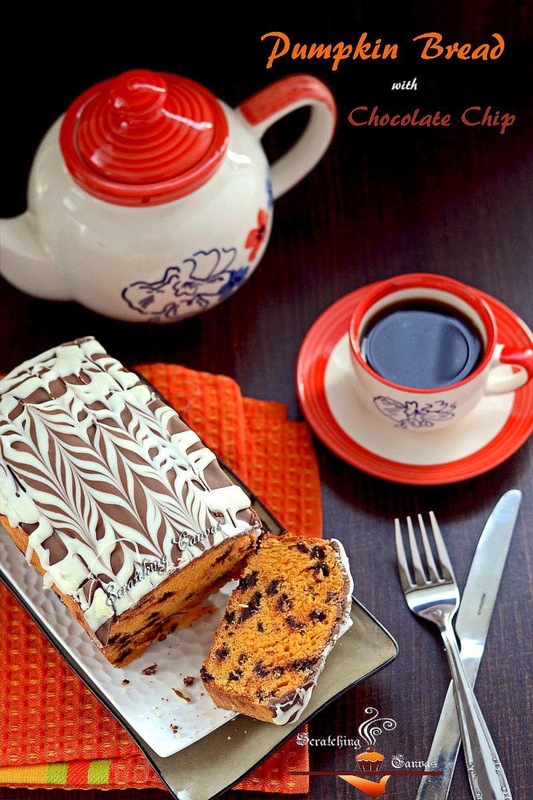 But after taking a glance at this Chocolate glazed Pumpkin Bread you won’t even remember that feeling. Isn’t it gorgeous? And what if I tell you this Pumpkin Bread has Ice-cream in it and also Chocolate Chips? Sounds irresistibly delicious, right? Yes it is. Indeed. 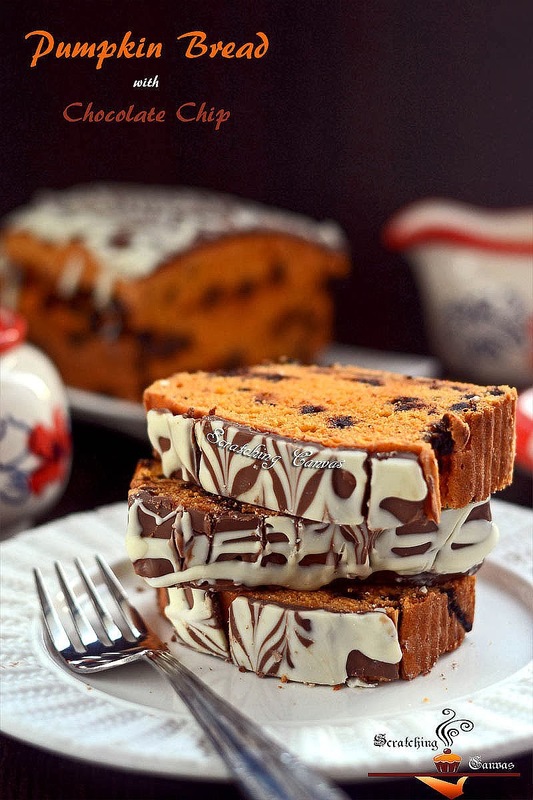 You are reading perfectly fine, it is Chocolate glazed Pumpkin Ice-cream Bread with Chocolate Chips. Don’t go with the myth which says every scrumptious dish comes with a hard work. 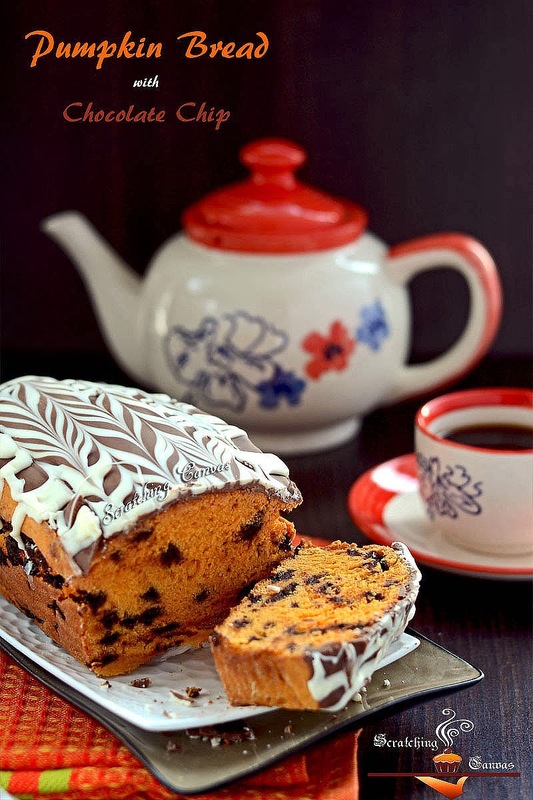 This pumpkin bread needs only 4 basic ingredients and within an hour you will be amazed by the little work you did for this well risen soft chocolaty bread. I’m the person who always goes for the vibrant looks. I adore the bright orange color of pumpkin but when it comes to the eating part I try hard not to make faces in front of others. Sometimes even I hunt for excuses to set it aside. So initially I was a bit doubtful regarding use of pumpkin in baking. But finally I made up my mind to start my baking season with my ‘beloved’ pumpkin. And this time I was determined to nail it positively. 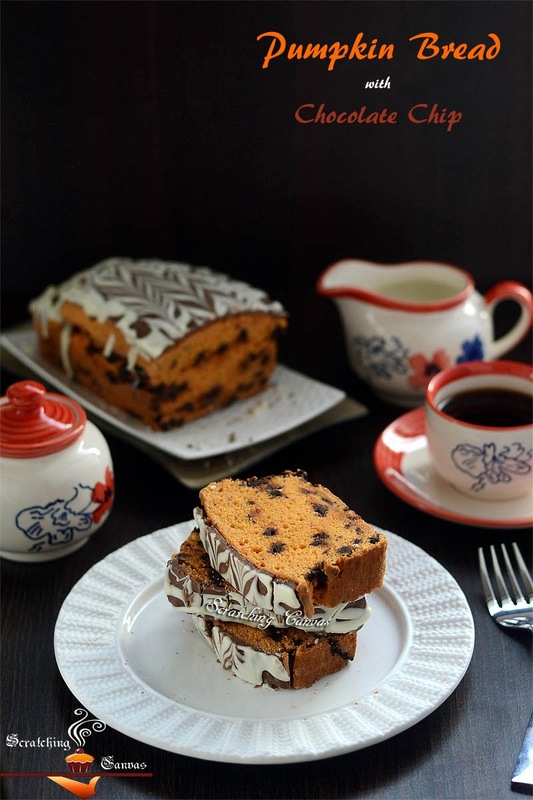 I was also looking for a slow yet steady start with the bread baking; so I opted for an ice cream bread which I found sometimes back in the internet. 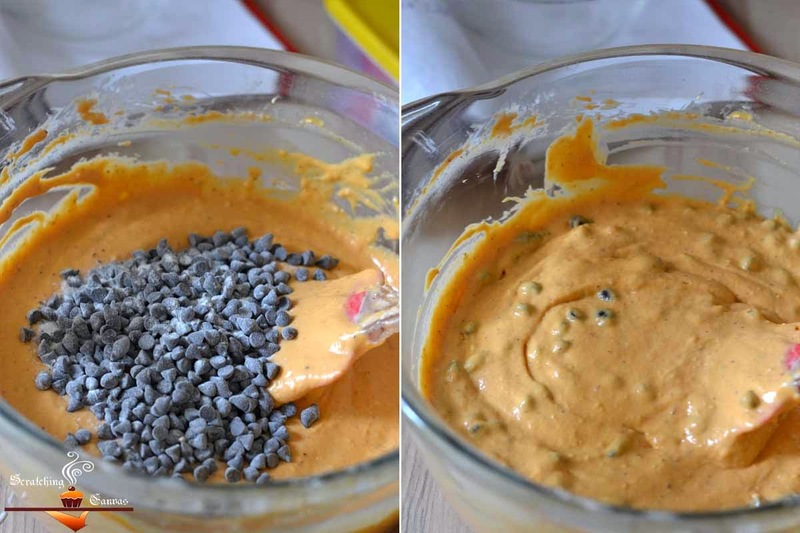 I added my Homemade Pumpkin Puree with the ice cream and flour to start the pumpkin baking and dark chocolate chips to make the bread chocolaty. 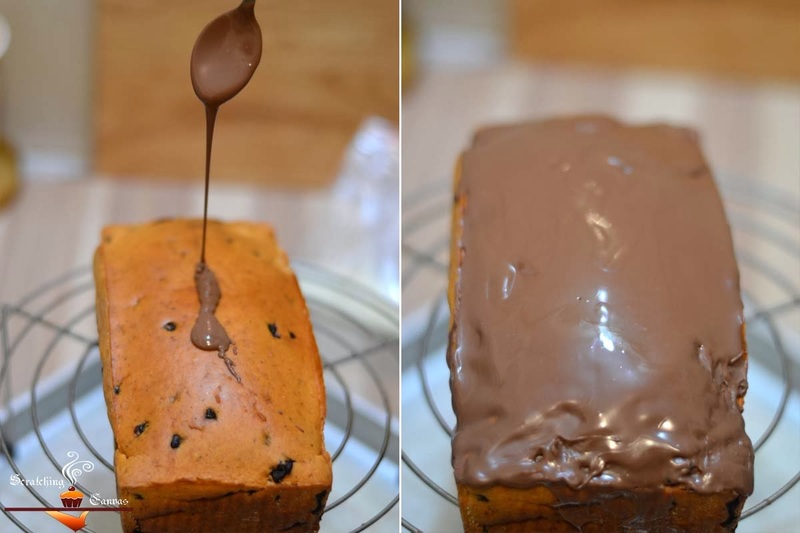 To give the bread an irresistible look I added chocolate ganache on the top with a simple decorative way. 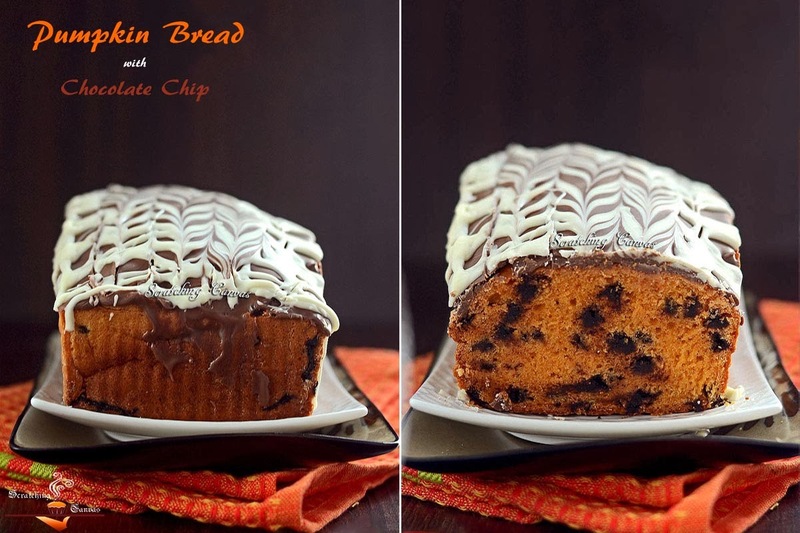 Here is my easiest and yummiest Chocolate glazed Pumpkin Ice-cream Bread with Chocolate Chips recipe for you all. 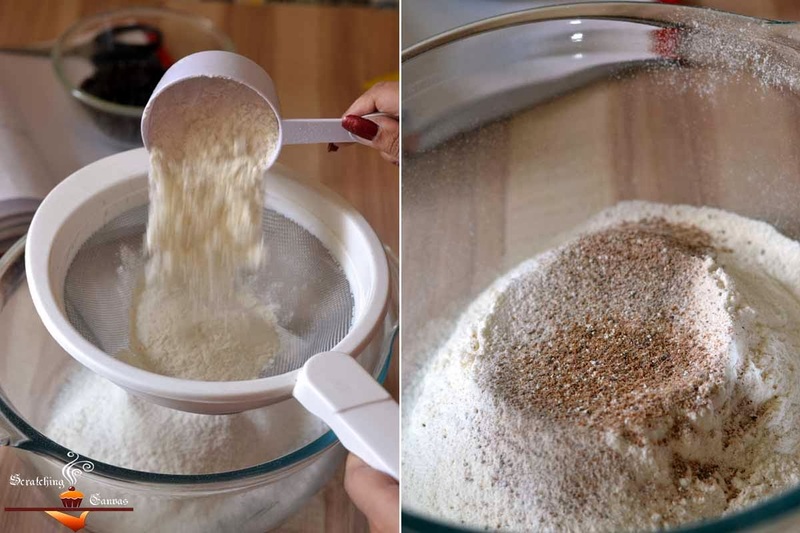 Sift and sieve the flour in a large mixing bowl. Also sift the cinnamon and nutmeg powder, (if using any) and mix with the flour. Dump the softened ice cream in the flour mixture and mix thoroughly. The mixture will be more like soft crumbles. 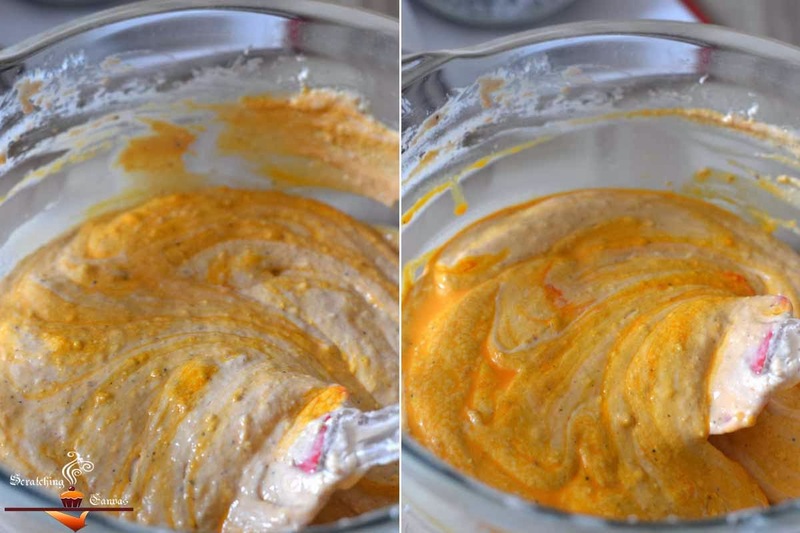 Add the pumpkin puree and mix well with a spatula until everything comes together. There should be no lumps of flour or ice cream at all. 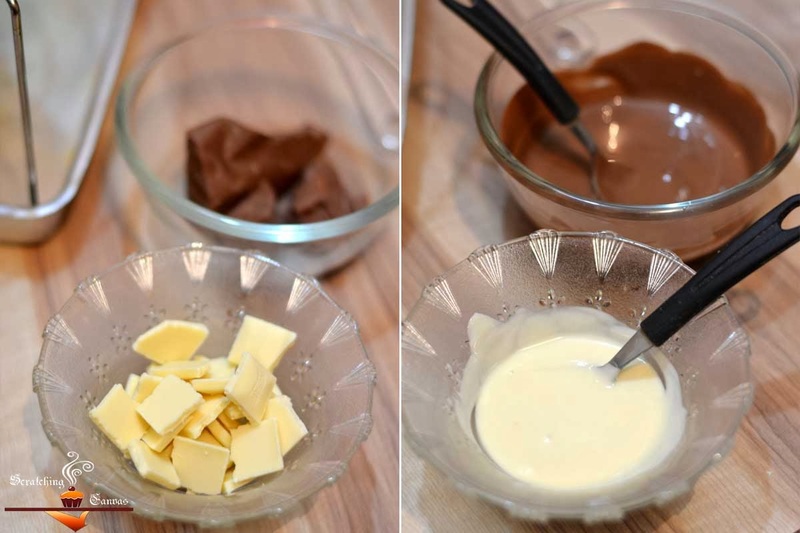 Dust off the excess flour from the chocolate chips and mix the chips into the batter. The batter will be sticky and thick at this point. 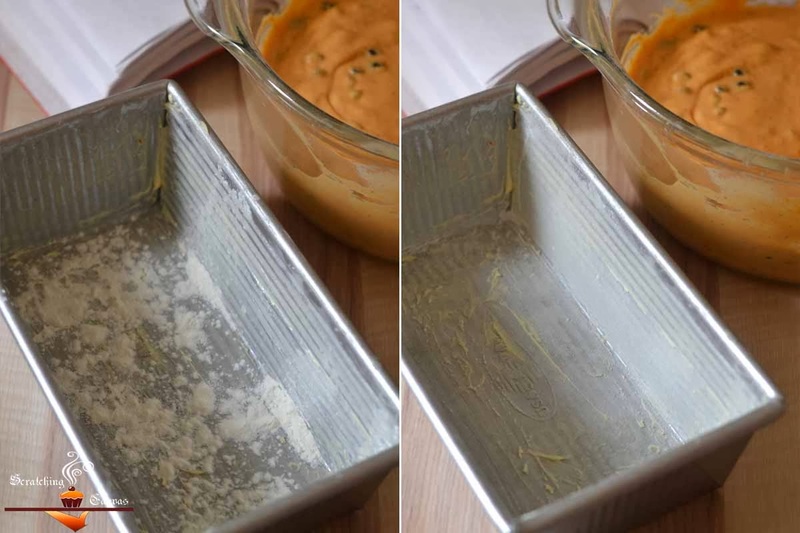 Preheat the oven to 1800C and prepare the loaf pan by greasing with butter and dusting with flour. Tap off the excess flour. 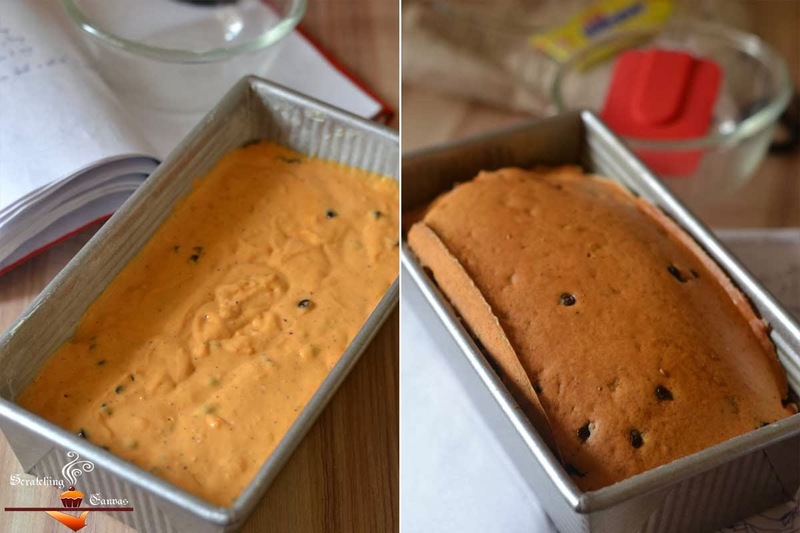 If you don’t prefer the chocolate glaze, your Pumpkin Ice-cream Bread with Chocolate Chips is done now. 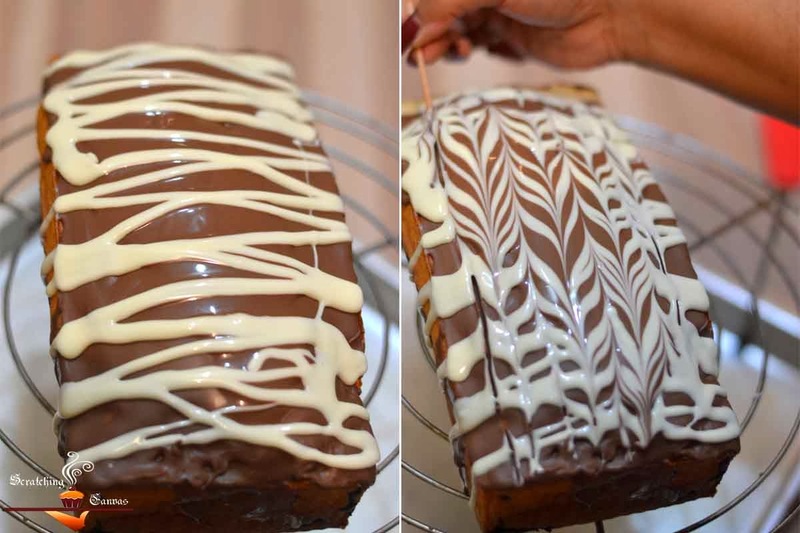 When the bread is cooled completely pour the milk chocolate glaze on the top and quickly spread evenly with a clean dry spatula. 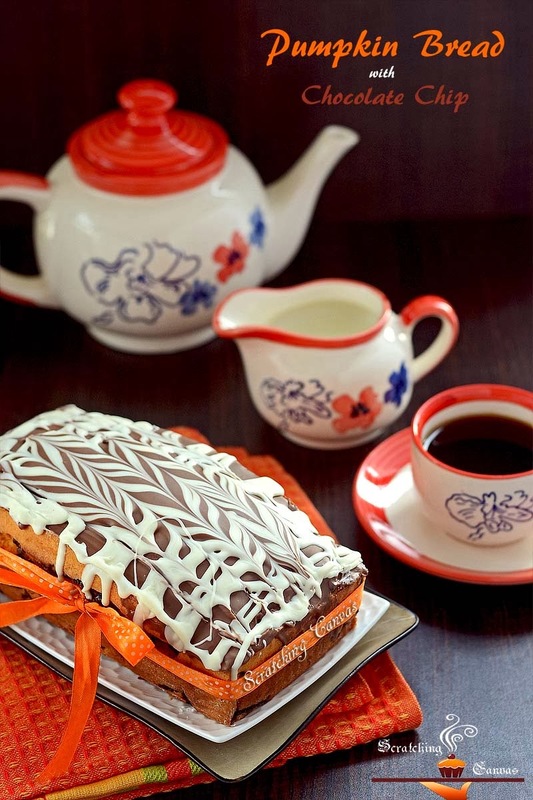 Before the milk chocolate dries up, very quickly cut the tip of the white chocolate filled pastry bag off and spread the white chocolate on the top in ‘zigzag’ pattern and draw few rapid perpendicular lines with a toothpick through the chocolate glaze to form a pattern. This bread tastes best when served fresh but can be stored in air tight container. Bread will taste good if stored in refrigerator for 2-3 days. 1. 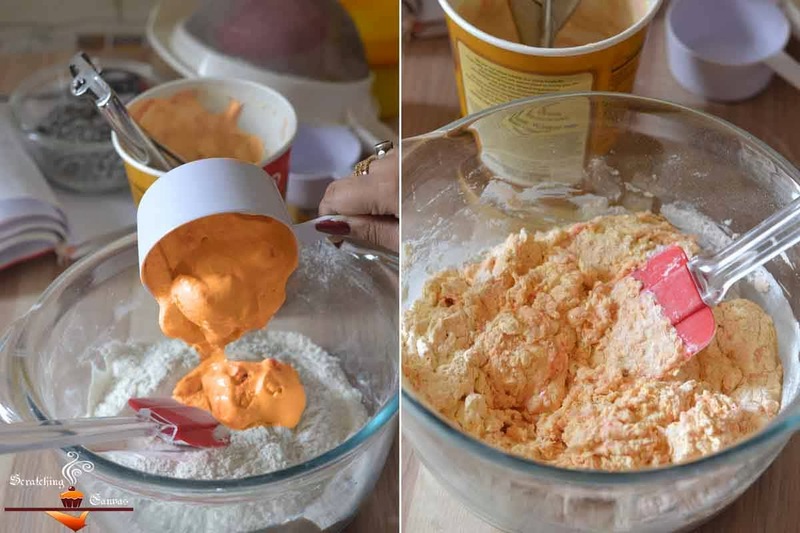 If you don’t have self-rising flour, make your own by mixing the following ingredients together for 1 cup self-rising flour: 1 cup all-purpose flour, 1¼ tsp baking powder, ¼ tsp baking soda and ½ tsp salt. 3. 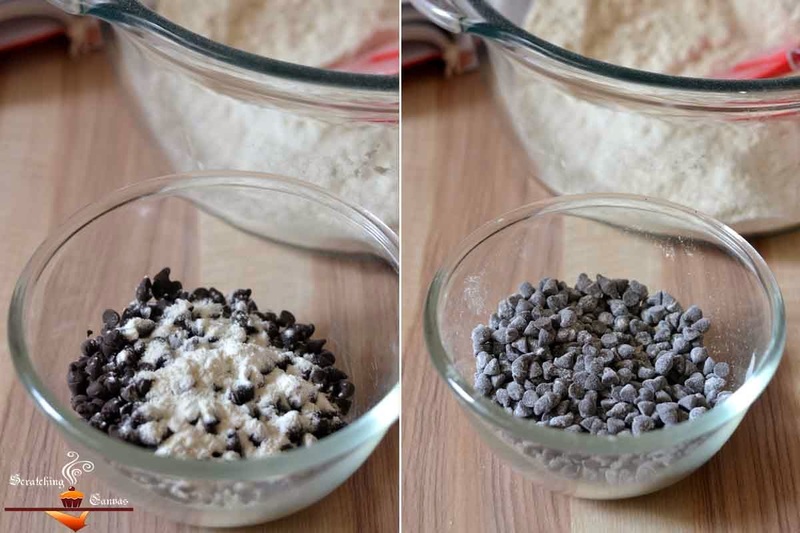 The flour coating on the chocolate chips will help to hold the their position in the batter while baking. Otherwise the chocolate chips will sink to the bottom of the pan. 4. 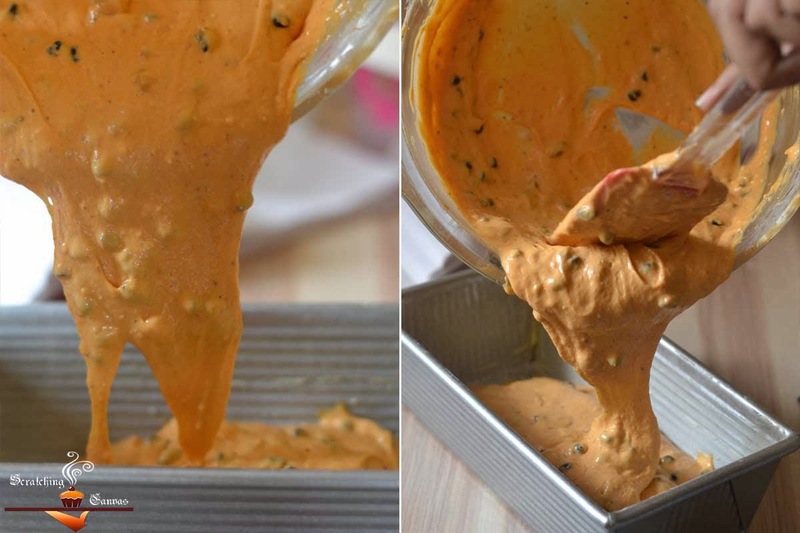 Tapping the baking pan with mixture will help to release air bubbles from inside the batter, if any forms. And the batter will be spread evenly on the pan. 5. Keep checking after initial time specified. It may take 10-15 mins more depending on your oven. Mine took exact 40 mins. 6. Sometimes top of the cake gets the perfect brown color but inside still remains jiggy. Don’t worry about it. Cover the top with a heavy duty foil and continue baking for 10-15 mins more. This will prevent the top from over baking or burning while inside of the cake will continue to bake. 7. Don’t touch or try to cut the cake while it is hot. It is damn fragile now. Allow it to cool. Once it is cooled it will be firm. 8. 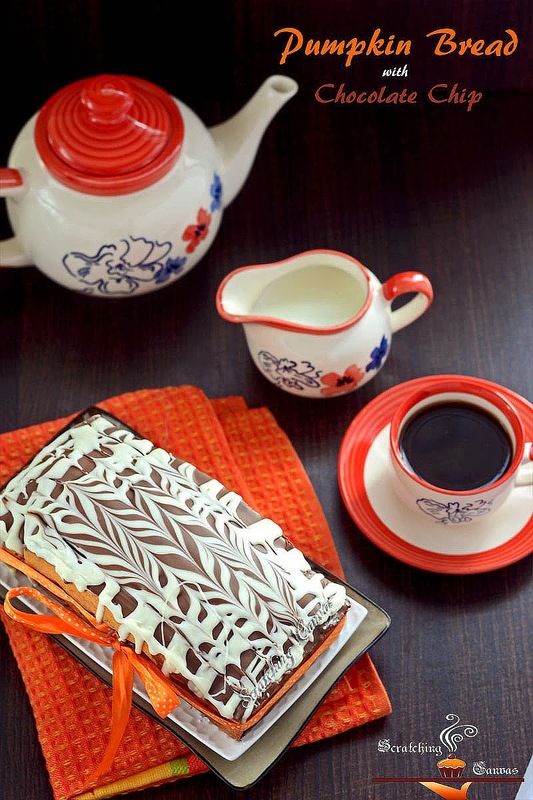 Chocolate takes few mins to harden up again. The time will vary depending on the climate of your city. So be careful to keep the chocolate warm. 9. Dip the knife in hot water before slicing the bread; it will help you to cut the chocolate neatly without breaking them in parts. wow that an fabulous bread and lovely decor with the frosting 🙂 very cute props !! Fabulous step, Rimli. I like cake topping. Beautiful click dear.